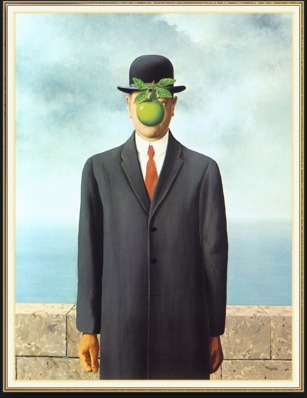 Rene Magritte “The Son of Man,” 1964. Instead, Magritte could have been describing corporate taxes. As you know, it is never that simple. To learn more, we can use a voluminous table from the accounting firm, Deloitte. Providing some detail, they let us know that a country’s taxes have layers of rates at the national and local levels. Furthermore their treatment of foreign firms’ branches varies. This is Deloitte’s description of current U.S. corporate tax rates with its alphabetical neighbors. The small print on the U.S. cites bands of tax rates, an alternative minimum tax, foreign branch tax treatment and separate state and local taxes. Each topic has tomes of tax code. Corporate tax rates become even more oblique because they depend on how terms are defined. We can say that businesses are taxed but need to define what we mean. Yes, we are talking about corporations because we call it the corporate tax. But still, lawmakers need to decide if other forms of business ownership like S corporations, limited liability companies or even partnerships are included. They have to determine what they mean by taxable income. Multiple layers of incentives complicate a seemingly simple Trump corporate tax. Seen through a national lens, the upside of a lower corporate rate could be more business activity in the U.S. It could boost employment and federal revenue. On the other hand, we have the distortions created by loopholes. An interest deduction could encourage excessive debt. Other loopholes might favor unproductive businesses. 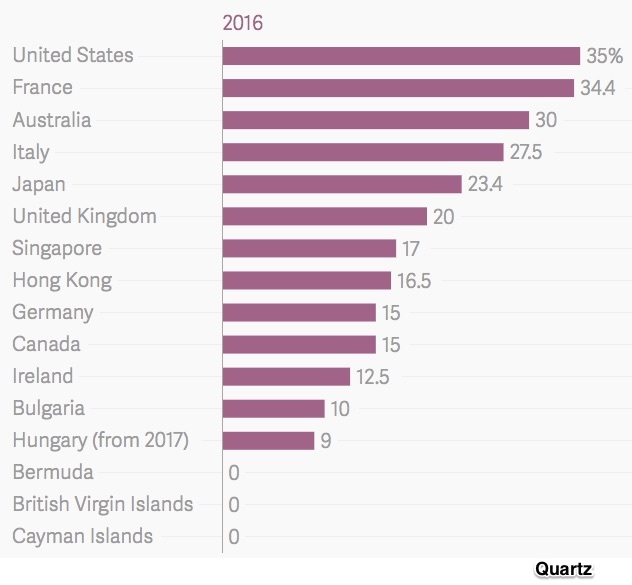 Globally, U.S. corporate tax policy interacts with 188 (or so) other countries. A relatively low rate can attract business investment. But also, rates can distort investment flows, shift reported income, and push firms toward marriages they otherwise might not consummate. My sources and more: From Quartz and the Tax Foundation to a Tax Policy Center Forum, fivethirtyeight and Deloitte’s facts, corporate tax articles are everywhere. But if you want one good example, econlife looked at the taxes Apple pays.